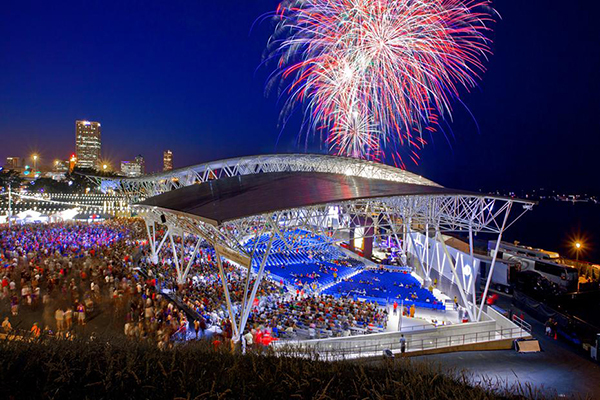 Summerfest dates for the annual festival in Milwaukee, WI have been announced and include major performing artists Lady Gaga & Bruno Mars who will headline at the Marcos Amphitheater. Other artists that will be performing at what is known as “The World’s Largest Music Festival” span many genres. Grounds Stage performers will include Best Coast & ZZ Ward, as well as English artists Jake Bugg and New Order among many others. The festival takes place June 25-29 and July 1-6. Order your tickets for one of the best festivals of the summer here.